From Alaska to New York, schools across USA are bringing change with BeSomeOne Worldwide’s latest program, Be The Change. This educational and fun impact program, is created to inspire social progress and awareness. Be The Change enables students to learn exactly how much power their tiny footprints can have all the way around the world by tackling such a large-scale problem with something as small as pocket change. Thank you! Stay tuned for more info on launching Be The Change at your school. 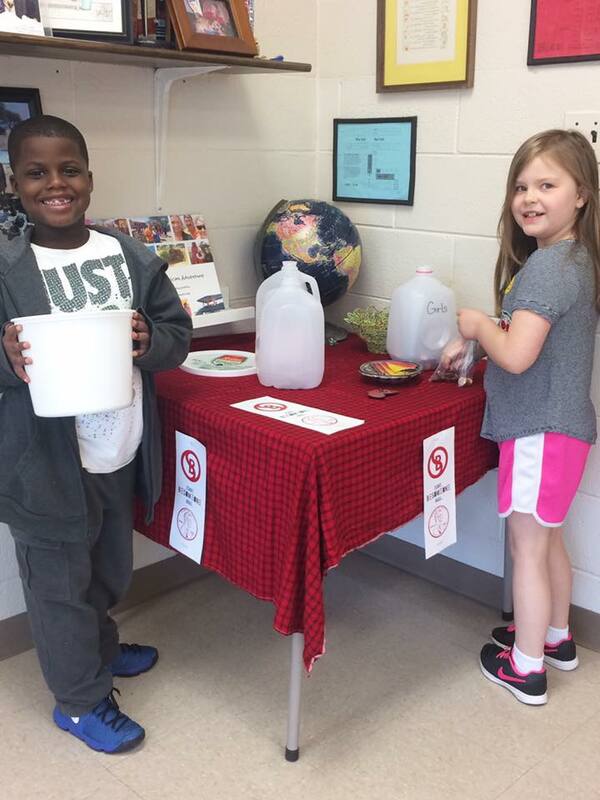 Be the change centers around a “penny war” fundraising model accompanied by a full “African Safari” curriculum. Schools, classes, sports teams (or however you choose to divide up your teams!) compete against each other to collect coins in a set amount of time. One penny equals one point, but larger denominations subtract points and can be used as a sabotage when put into another team’s bucket. All you need is a container (empty milk jugs work best) and then you can begin collecting change! Bringing Be The Change to your school or class requires very few resources, and is a fun way to keep kids engaged and involved while learning the real-world application of lesson plans across a range of subjects. Students will demonstrate their ability in subject areas like geography, social studies, math, science and cultural diversity. Activities such as "wildlife exploration", jewelry making and recommended readings are detailed for the teachers to immerse their students in African culture while they have an impact. Our first program was launched in 2014 when the students of one classroom in a small town in Tennessee, USA learned about how their friends on the other side of the globe had to walk 10 hours each day just to fetch water for their families. 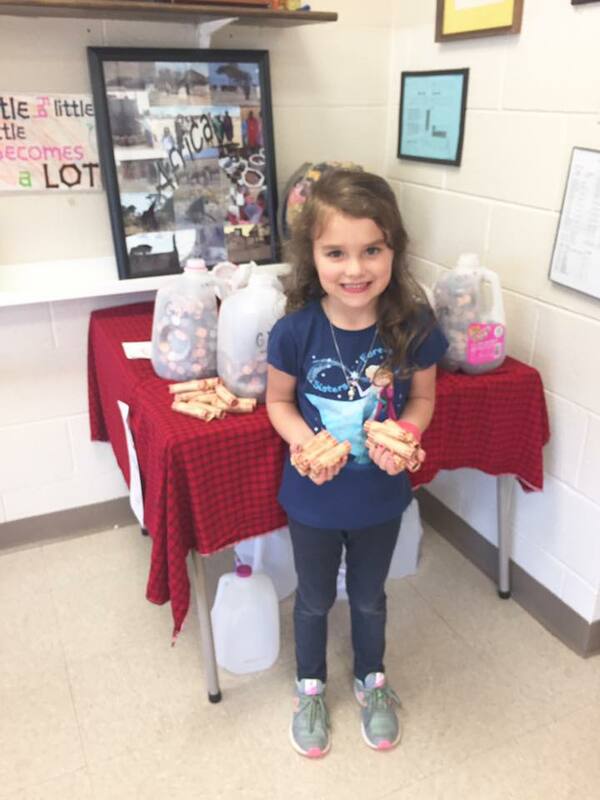 The students were spurred to action and after two weeks, the program racked up a total of 139,013 pennies! That translates to over 2 million Tanzanian shillings ... helping fund the construction of a water reservoir in Moduli, Tanzania. Through the construction of the school and water resources, families and children in Tanzania are now able to more easily fulfill their basic needs of water so they can work toward making education the priority. The goal of Be The Change program is to gather funds to make a vital impact toward developing programs in Tanzania including water initiatives, infrastructure and educational materials for our school partners in need. Our goal is for you to have an impact across the globe and through Be The Change continue providing education and empowerment to a new generation of leaders! Ready to dive into Tanzanian and Maasai culture and make a difference? Click "Get Involved" to sign your class up and inspire your students to Be The Change. Thank you! Stay tuned for more info on how to launch Be The Change at your school.